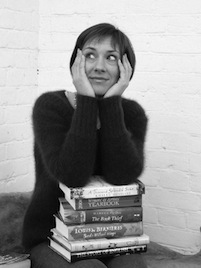 Tonight’s guest blog post is brought to you by novelist and interviewee Jane Davis. To some, to permanency of the written word means that swearing in print has higher shock value than the spoken word. In 1951, J D Salinger was the first author to use the F-word in The Catcher in the Rye. Over sixty years later, it remains one of America’s most banned books. We are more familiar with sound of the F-Word. In 1963, Kenneth Peacock Tynan, literary manager for the National Theatre Company briefly became the most notorious man in the country by becoming the first to use it on British television, a move later referred to as a ‘masterpiece of calculated self-publicity.’ Mary Whitehouse only added to the equation when she wrote to the Queen demanding he should be reprimanded by ‘having his bottom spanked.’ How times have changed, Gordon Ramsey (and you, a father of four). This anomaly appears to remain. The opening scene of Four Weddings and a Funeral, consisting almost entirely of the F-Word, manages to remain inoffensive, but it is necessary to be in the right frame of mind to stomach Vernon God Little. And yet there are alternatives. Ronnie Barker sought authenticity for his 1973 prison-based comedy-drama, Porridge. By introducing the word, ‘Nark’, to the English language he avoided causing offence and gained an enviable family-based audience of 15 million. I believe that over-use sorely diminishes the impact of good old Anglo Saxon language. I am currently reading Rachel Joyce’s The Unlikely Pilgrimage of Harold Fry, in which the first swear word appears on page 148. It is so shocking in context, coming from Harold’s imagination as it does, and a damning self-assessment of his failings as a father, that it triggered a real emotional response in me. Joyce follows this up by introducing a truly good character called Martina whose language, in my mother’s often-used phrase, ‘leaves much to be desired’. But not knowing this to begin with, the reader may start to judge the character. Because there is kindness in Martina’s intentions, once we get to know her, just as it is in life, her choice of words ceases to be offensive. And so I continue to allow my characters to swear, when the situation demands it. But not Sir James Hastings who will always, for me, remain an English gentleman. But nineteen-year old Jenny Jones? I allow her to swear at him once – to really grab his attention. “What do you know about it?” I exploded, red-faced, but Jenny was undeterred. Morgen: I always think there’s a time and a place for swearing (when my computer plays up)… er, in literature. If a writer uses it to show off and a character wouldn’t use it then it leaps out and you always want to avoid a reader stalling but if a character’s just hit his / her thumb with a hammer then they’re not going to say “bother”. Even my mum, who hates swearing, would say something stronger. Thank you, Jane. Jane Davis lives in Carshalton, Surrey with her Formula 1 obsessed, star-gazing, beer-brewing partner, surrounded by growing piles of paperbacks, CDs and general chaos. 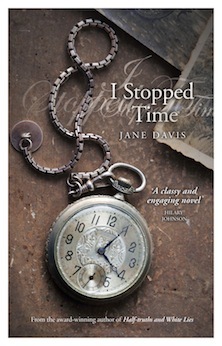 For further information, or to sign up for pre-launch specials and notifications about future projects, visit the author’s website at www.jane-davis.co.uk. If you would like to write a writing-related guest post for my blog then feel free to email me with an outline of what you would like to write about. There are other options listed on https://morgenbailey.wordpress.com/submission-information/opportunities-on-this-blog. I completely agree. The language must fit the character, whatever that would look like. I am not a fan of the f-bomb, but I would not like to see it censored out of a the speech of someone who would normally use it. On the other hand, as you say, overuse of any term robs it of its impact, so use every word with wisdom, authenticity and discretion..
that was an issued I tussled with when I first started putting fingers to keyboard. I personally do not swear much. compared to my days in the military my language is almost chaste now. LOL. When it came to my writing I was wanting to avoid upsetting people, but in the end decided that the majority of people Ive known in my life cursed, some cursed like a sailor on a sugar high. So I went with reality. though I try to keep it down to a handful of swear words, with only one character being the most foul mouthed and offensive type you will ever meet LOL he is actually based on some one I used to know. so no do not censor the speech of Characters to suit other peoples tastes. thats the worst of political correctness in my opinion. My writing might not be up to there with real authors, but a good character comes to life in the writers minds, and his or her voice is the characters own, not that of the author.